Maureen Cooper’s “Bimblebox: A Nature Refuge under Siege” is a wonderful introduction to both the natural history and social history of Bimblebox Nature Refuge. 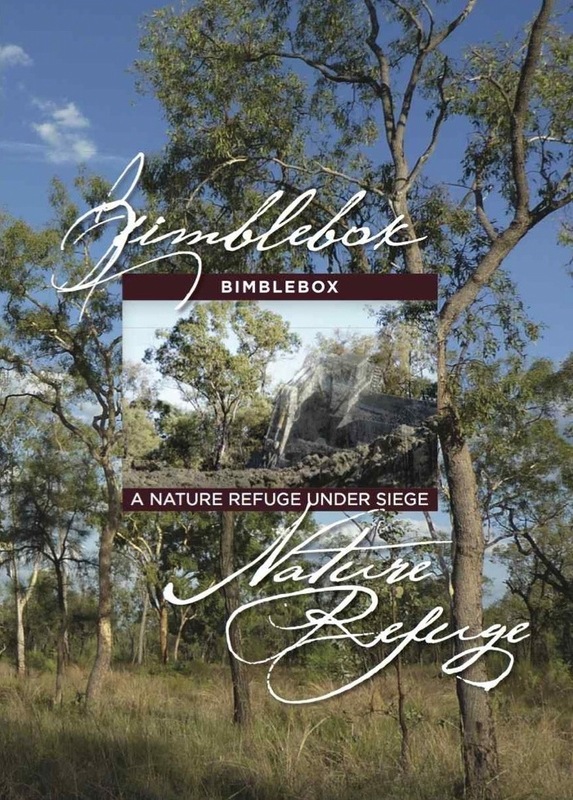 “Bimblebox: A Nature Refuge under Siege” is more than a book – it is a place where science, art, politics, the law, history and passion meet. And they meet inside these covers with some urgency, as the fate of this remarkable place lies in the balance. While a comprehensive discussion of the natural history of Bimblebox, and the controversy surrounding its future, would fill thousands of pages, this book will give you glimpses into the heart of critical issues: the birdlife, threatened and otherwise; the scientific and legally vexed issue of “biodiversity offsetting” and cumulative impacts; the crucial role of big ancient tree hollows, past and present political events and more. Read, learn, be inspired, act. It will tell you things about the wildlife you won’t read in material produced by Waratah Coal, that’s for sure! For example, 145 bird species and 12 bird species of Conservation Significance for the Desert Uplands have been recorded at the refuge by Birds Australia (and BirdLife Southern Queensland) surveyors and scientists from 2003 through November 2011. The book contains stories, poems, newspaper clippings, short essays, photos galore, a brief guide to wildlife, a brief history of the refuge, and a full list of plants and animals sighted at Bimblebox Nature Refuge so far.